If you are looking for Valentine’s Day gifts here are a few that are either buy one give one, fair trade or the proceeds from purpose will go to charity or women entrepreneurs. For over five years Three Avocados has funded global water and education projects in Uganda and Nicaragua through the sale of their coffee and branded products like tumblers, T-shirts, and coffee mugs. I recently received two bags of Three Avocados arabica ground coffee – one from Nicaragua and the other from Uganda. Both are quite good. I am a big fan of very strong, dark roast coffee and Three Avocados definitely does not disappoint. When I opened my box of samples, the smell of coffee hit me before I even saw the coffee bags. I loved that immediately. In my experience if I can smell ground coffee before I even open the bag I know it will likely be very good. If you’re like many of us you may have waited until the very last-minute to buy your loved ones Valentine’s Day gifts. 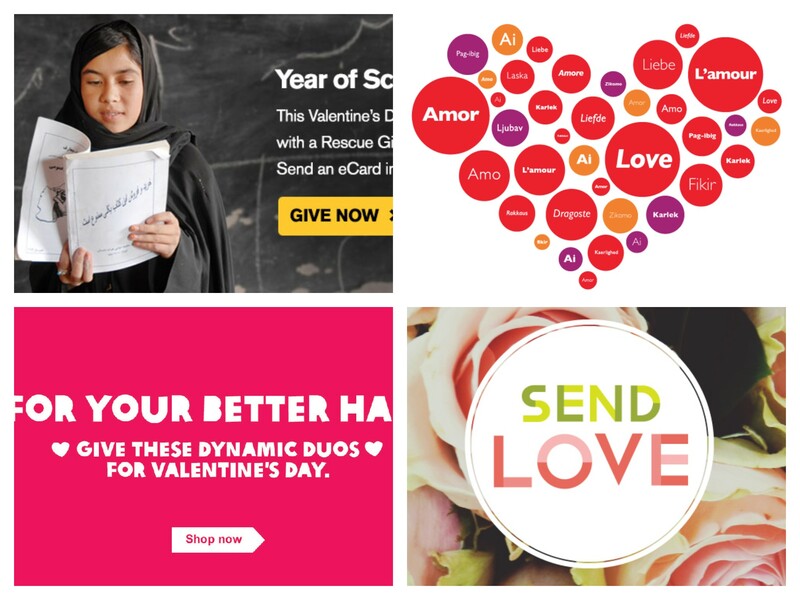 While you can still run out and buy a wealth of flowers, cards, and chocolates, here are nine virtual Valentines’s Day gifts you can give that also give back. Oxfam Unwrapped: Oxfam recommends giving duos of animals for Valentine’s Day: a pair of chickens ($18), a pair of sheep ($80) or a pair of goats ($100). Send lovely animals to families in need. Elizabeth Glaser Pediatric AIDS Foundation: EGPAF is asking its lovely supporters to send Valentine’s Day e-cards to spread awareness about pediatric AIDS. It costs nothing, but the gift of awareness is always key. Click here to spread the love. Midwives for Haiti: We all believe in the power of saving mothers’ lives. This Valentine’s Day donate to Midwives for Haiti and help them stock their medicinal chest with life-saving medicines for the entire year. Donate with love to Midwives for Haiti. Vaccine Ambassadors: There is no doubt that vaccines save lives. Vaccines are one of the best ways to show love for children around the world. Buy vaccines with love for children whose lives can be saved by this easy intervention. $10 vaccinates 19 children against the measles.